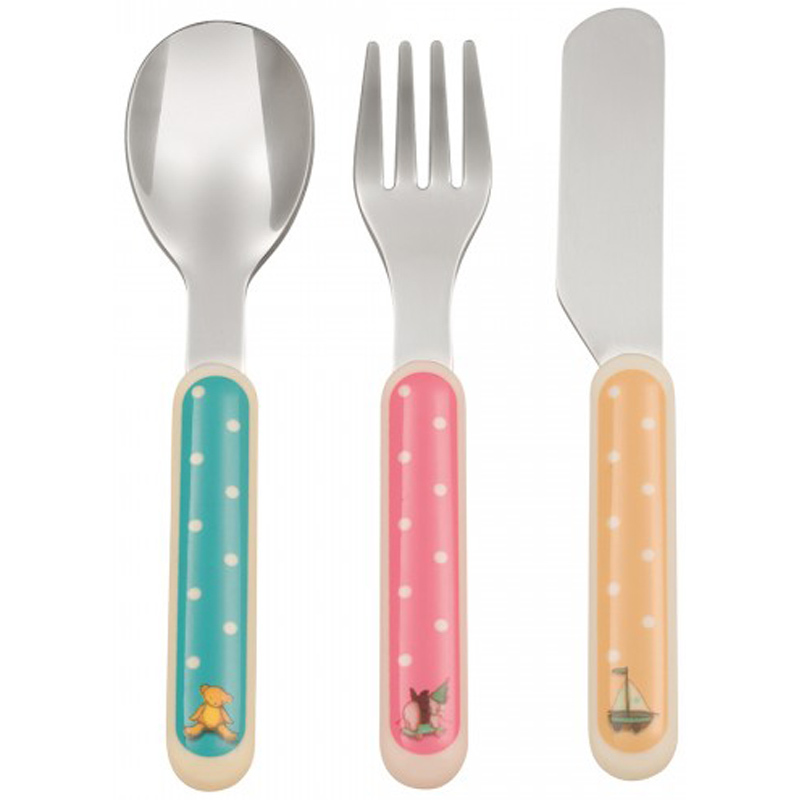 A mealtime adventure with all your favourite toys! 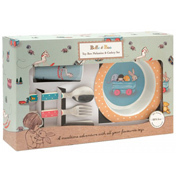 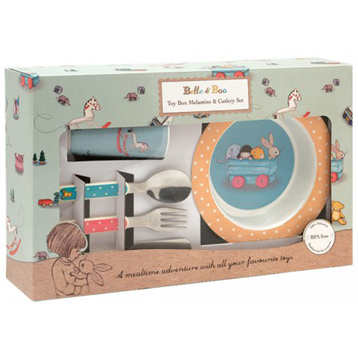 Packaged in a beautifully illustrated presentation box, our Toy Box Melamine & Cutlery Set is both playful and nostalgic. 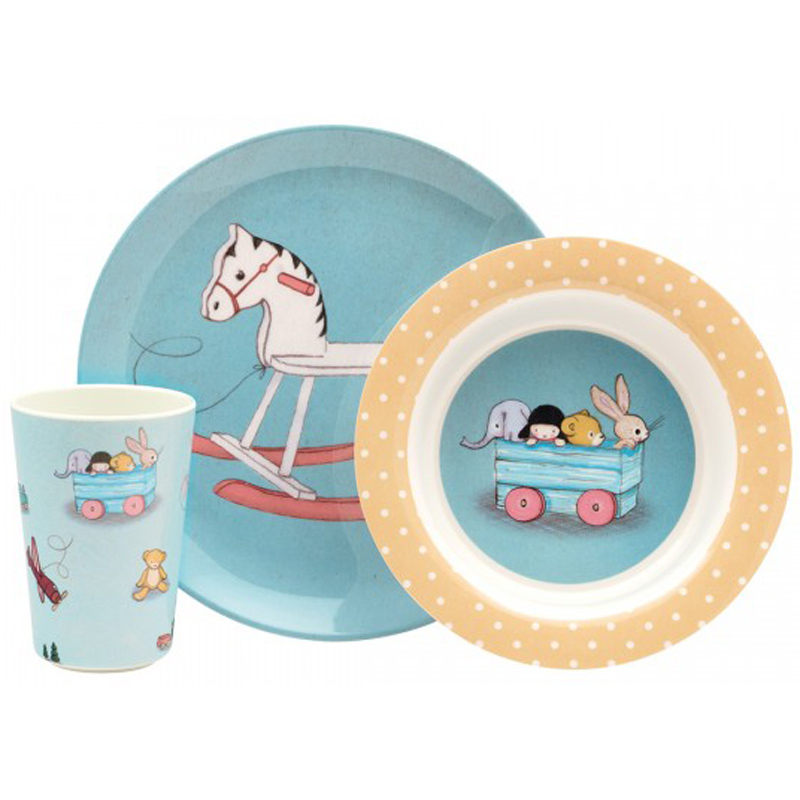 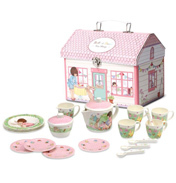 Charming illustrations, from a wooden rocking horse to a well loved teddy bear, adorn this 6 piece, vintage style set. 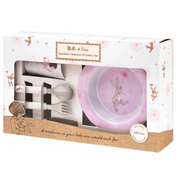 Perfect for both boys and girls.